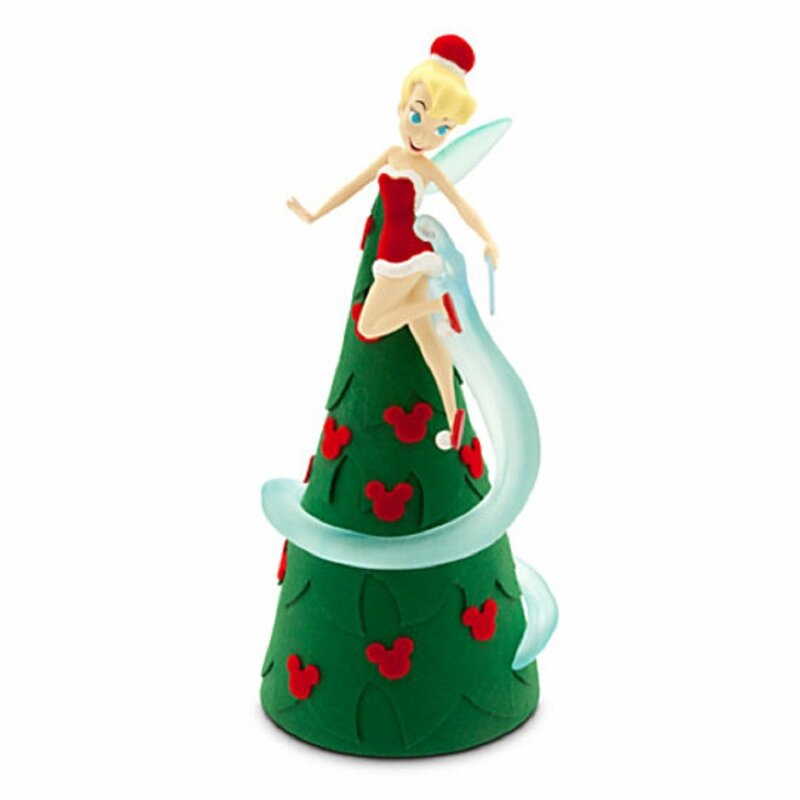 A Tinkerbell Christmas tree topper can make the perfect gift for the Tinker Bell lover in your life and can help you add some fairy charm to your own Christmas decorating. I do not own one of these tree toppers because I have a bias for angel tree toppers which remind me of my childhood but I do know plenty of people who have themed Christmases every year so whether this is your first year decorating with a fairy/Tinker Bell theme or if you plan on doing it every year, one of these tree toppers can be the finishing touch your tree needs. 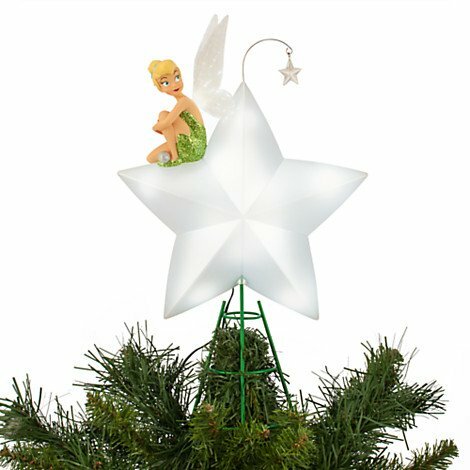 With it being so early in the year still, I have looked for the best looking classic Tinkerbell tree toppers which are beautiful and full of charm. As the winter holiday moves closer, I will be making an updated post containing some of the new toppers that will be released this year. A coworker of mine has a four year old daughter that is currently in the Disney princess and fairy phase. We went over there for a baby shower and they were watching the Tink and friends show that comes on TV (I had never seen it before.) She would definitely love something like this or any kind of Tinker Bell Christmas ornament for that matter. 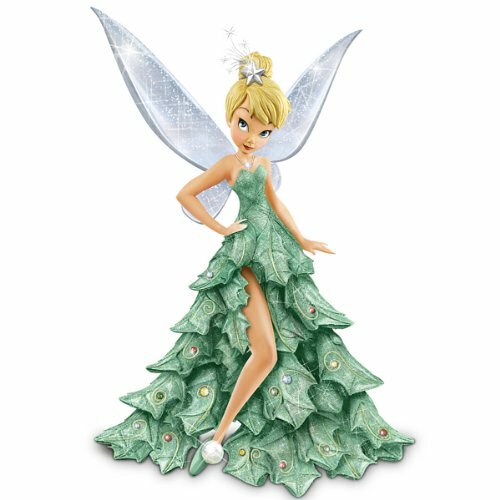 See more Tink toppers here! For those paying close attentions, there are actually only three toppers above with one very beautiful TinkerBell figurine. I’ll explain that choice in a moment. Out of the three toppers above I would have to say that my favorite is by far the first one with a happy Tink in a green outfit holding a red jingle bell. The bell works by the way though I am not honestly sure how useful that is for something that sits on top of a tree branch. Even though it is not as realistic as it could be, I think it looks great for a cartoon character. The other two tree toppers are both also good choices and provide some variety for your preferred color schemes. The green fairy dress is a traditional choice and is the costume most people associate with Tink from Peter Pan. Though in case you are tired of green or if you are looking to add a little pop, the red dress will help her stand out. To throw in a little variety I did also include the TinkerBell Christmas figurine which is the last item listed above. I did this because it is a Christmas design with the idea that she herself represents a Christmas Tree with a long flowy dress and a star in her hair serving as her own tree topper. This could also be a great addition for anyone that would like to buy something in addition to their topper. 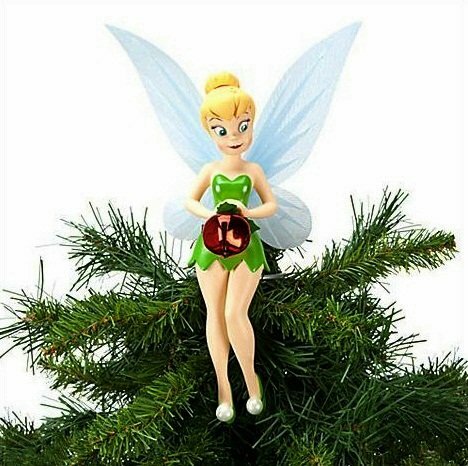 Even if you do not have room on your tree this year for one of these figures, they can easily be used as general TinkerBell Christmas decorations or place on tables and mantles. I have even seen character tops like this tied to stair railings or propped near points so that you can be greeted walking up and down the stairs.